Some social media users are calling President Donald Trump “tone-deaf” after he gave a thumbs up while taking pictures with the first responders of the Florida school shooting. The photo was taken on Feb. 16, just two days after the Parkland school shooting that took 17 lives, HuffPost reported. Trump paid a visit to first responders at the Broward County Sheriff’s Office. The photo was shared on Twitter by Washington Post reporter Mark Berman. 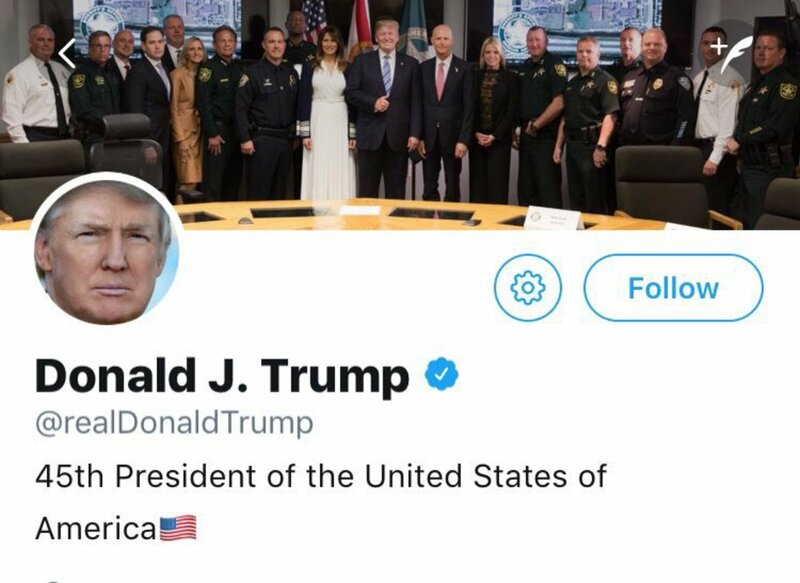 “The president’s new Twitter banner is a photo of him smiling and giving a thumbs up while meeting tonight with police officers who responded to the massacre of 17 people, most of them students, at a high school in Parkland,” Berman tweeted. Several social media users found the photo disturbing, and accused the president of lacking empathy and compassion. Some even went as far as to calling Trump a sociopath. “Here’s Trump’s new header pic. 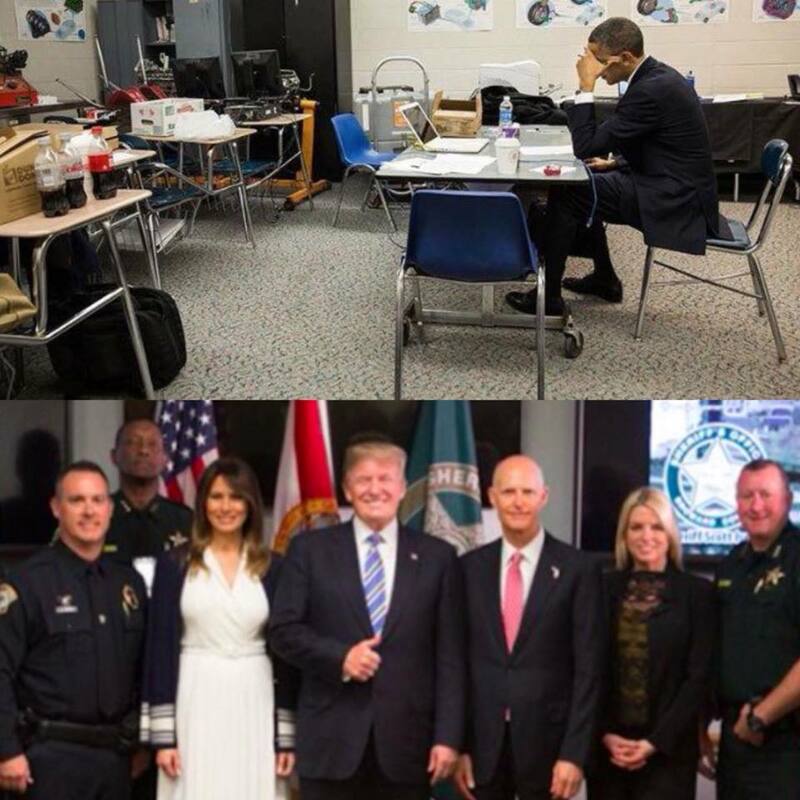 He’s meeting with Florida police about the Parkland shooting and giving a thumbs up like he’s at the grand opening of a car lot,” wrote another. “I would like to be able to say I’m appalled but with this sociopath I’m not at all surprised,” wrote another user. Debate about the photo op spread to Facebook after an account celebrating former Secretary of State Hillary Clinton posted a photo of former President Barack Obama after the 2012 Sandy Hook shooting for a side-by-side comparison. Reactions were mixed among social media users, with some attempting to defend Trump. “So it’s wrong to show support to our first [responders]?” asked one Facebook user. One user argued that both photos are just fine.